Xiola Linden is the Lead Community Manager at Linden Lab. she originally came to Second Life in 2006, and joined the Lab in 2011. Her role is broad-ranging, including elements of customer supporter, through blogging and social media output for the Lab, to organising events such as the in-world get-togethers and the likes of the SL13B music fest. She leads a team “100% focused” on supporting and serving the communities of Second Life, and who may be travelling in-world as Linden or equally, using her alt for that ground-level “resident eye” look at things. During her time in Second Life, Xiola has enjoyed many roles: DJ, designer, shopaholic, music event lover – and outside of her official account still finds time for many of these activities. Pete Linden is the Lab’s Senior Director of Global Communications, a role which sees him leading the company’s PR work and managing the Marketing team, covering all of the Lab’s activities and products – Second Life, Blocksworld and Project Sansar. He joined Linden Lab in 2009 from a PR firm which representing the company, and became a PR specialist and then PR Manager, before moving to manage the PR and communications team and thence to his current role, which includes overall management of all of the Lab’s communications activities – PR, marketing, communications and community management. What were your first impressions on joining the Lab? Was it what you were expecting? Pete: For me it was, but part of that was because I’d had the good fortune of working with a number of people quite closely at Linden Lab for about three years before I made the move. I was working pretty closely with Catherine Linden Melissa Linden and some others at that time. So, I had a pretty good sense of what the company was like, how things worked here. And obviously, that’s changed over the past number of years; Linden, like Second Life has been through quite an evolution. But it’s still the most exciting and most fun job that I’ve ever had. It’s a great place to be. Xiola: It’s interesting because I had actually been watching the careers page at Linden Lab for quite a while, waiting for the right opportunity to arise. The timing ended up being perfect and it worked-out really well. So that aside, I think – it’s a tough question, because like Pete mentioned, the people here are some of like the coolest, smartest people you’ll ever meet. So every day there’s something surprising. It’s kind of how I feel about the Second Life community, which sort-of makes sense, that the people working here, working on Second Life, have similarities with our community as well, because they are the community as well. But there’s always some things that surprises me about people, and it’s almost, I would say, 99.9% of the time delightful. And so in that regard, I really didn’t know what to expect coming here, and I enjoyed that, actually. I was excited about something new and different, even though I had been a resident and understood the product from a resident’s perspective. My background had been more in straight Internet, web and e-commerce sites, and that sort of thing. So I came here, and it was almost like, “These are my people! This is my tribe!” And it’s continued to be that way over the years, it’s very cool. But the people I have as friends before and after Linden Lab have that similarity. I really appreciate when people surprise me; and I definitely get that every day here. I think Oz was talking about not going a week without the residents surprising him with something; that really is a common theme, I think, internally as well as externally. It’s really cool. You definitely have to be on your toes, but it’s fun! Do you still use your other avatar? So I spend time on my alt every day. and between her and Xiola, spend a lot of Lindens updating our avatars all the time! I guess from a marketing and community point of view though, having the alt allows you to do a certain amount of mystery shopping and see how people are engaged in the community. Do you get a lot of feedback on the alt? Xiola: I do. So, I mean obviously it not like I go around interviewing people or asking when I’m on my alt, that would be a little obvious. But I hang out in places, and people will be having conversations about things, and you definitely get a different perspective when folks don’t know there’s a Linden present. And I try to treat it that way; I mean when I’m doing alt things, I respect the alt code, I’m a resident right now, not a Linden! So there’s definitely some interesting things. And even some of the outside Second Life stuff, some of the communities that exist on Plurk and Facebook; they definitely have a different perspective. But funnily enough, it’s sort-of like they say, two different parties can have the same goal, but they’re just using different words for it; at the end of the day, I think at the end of the day, a lot of it aligns. And maybe it’s just coming from a different perspective, the feedback I hear externally and the feedback I hear in here, I think a lot of it actually lines up really well. So that’s kind of kismet and kind of cool. 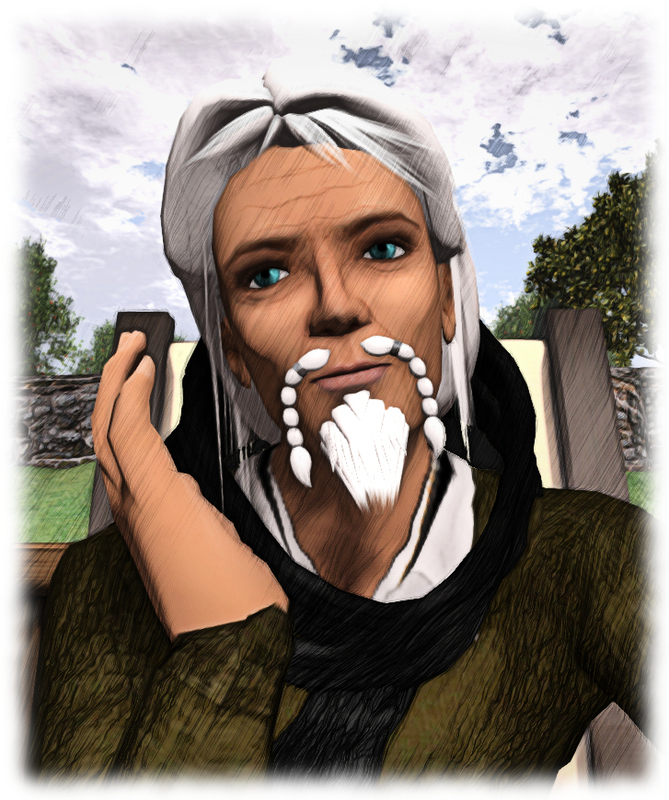 Wednesday, June 22nd saw Oz and Landon Linden sit down with Elrik Merlin and Saffia Widdershins, this article hopefully presents some “selected highlights” of the chat, complete with audio extracts from my own recording of the event. Note that these are not necessarily presented in the order items were discussed during the session; to maintain a sense of flow, I have grouped some items together. However, for those who would like to hear things chronologically, the video the session is embedded at the end of this article. Oz Linden is perhaps best known for his work with the viewer and open-source communities in Second Life. He joined the company in 2010, and is perhaps one of Second life’s most unabashed and proud promoters. Starting in support of the Lab / open-source community relations, Oz moved upwards and forwards in the company, managing the relationship between the Lab and the third-party viewer community, and thence on to Director of Engineering, and lobbying for the post of Technical Director for Second Life when the Lab commenced re-aligning itself to manage two large-scale core products: Second Life and Project Sansar. Working on Second Life comes with some odd benefits… you get to pick your own avatar name, and it turns out that’s what everyone at work calls you by. So I became Oz Linden. Four years later, I’m the Director responsible for Second Life core product engineering, and having more fun than a barrel of virtual monkeys. 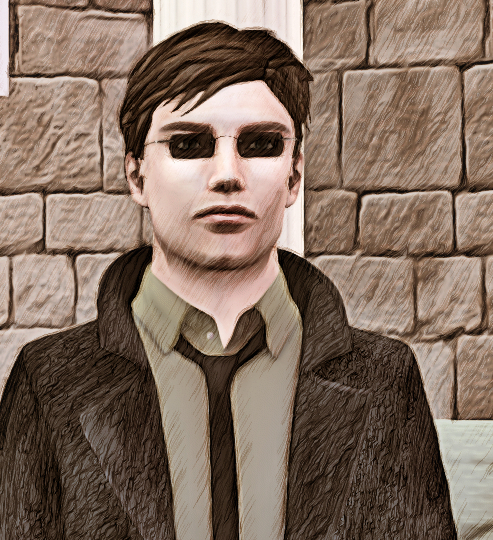 Landon Linden is the Lab’s VP Operations and Platform Engineering, a post he has held since December 2013. Originally a research chemist with a long-term involvement in MUDDs and MMOs, he decided that there were probably saner pastures in which to work than research chemistry (he relates with a smile), and so hopped over into IT, working in consultancy prior to telecommunications before joining Linden Lab in August 2008 as a Lead Systems Engineer. Since that time, he’s been literally at the heart of Linden lab and Second Life, initially leading the engineering team that designs and implements the network, infrastructure, and low-level systems on which Second Life runs as well as managing the team responsible for creating all the Lab’s internal applications: support tools, service administration apps, and continuous integration systems including test automation. In October 2011 he became Director of Systems Engineering and Operations, responsible for technical operations and platform engineering (data centre, network, system infrastructure, build systems, internal tools, and application security) as well integrating some of the Lab’s third-parties service (Amazon AWS, CDN providers). From here he moved on to Senior Director Platform Engineering and Operations, overseeing the team which creates the platform for all Linden Lab products (e.g. platforms, payments, virtual currency, data warehouse) and ensuring production services run as smoothly as possible. With his move to VP Operations and Platform Engineering, Landon now also oversees the foundational infrastructure and services being developed for Project Sansar. It’s interesting you have this cross-over between chemistry and virtual worlds. do you see any kind of common ground, apart from the madness?! Landon: I think about this a lot, and I really wish I could come up with a really interesting answer, but I don’t. In terms of what I was doing in chemistry and what we do in Linden Lab; I don’t see a lot of base overlap. One of the things that I used every day in chemistry and what I tend to use in my job today is the underlying methods can be similar, particularly with regards to statistics. … One of the things that fascinates me about virtual worlds is that it is a human-created space but it’s also part of the machine; it’s in the computer. And so we have lots of information, just like social networks, about what is happening, how people are behaving. So, one of the things that has always fascinated me is sociology, psychology and economics. What frustrated me about those disciplines back in my hard science days, back working as a chemist, it was very difficult, and it remains very difficult, to do hard science research on that. And in virtual worlds, there’s this kind of perfect collision of the kind-of fuzzier side of science and the things you can directly measure. Economics in particular is something that I’ve been desperately interested in, and I think most economists would just drool to see what is happening, directly measure what’s happening, in the Second Life economy. Oz: I think those disciplines are not as far apart as you think they are; at least based on my experience. I have a whole bunch of former chemists that I’ve worked with in programming over the years, and I think the thought processes are very similar. 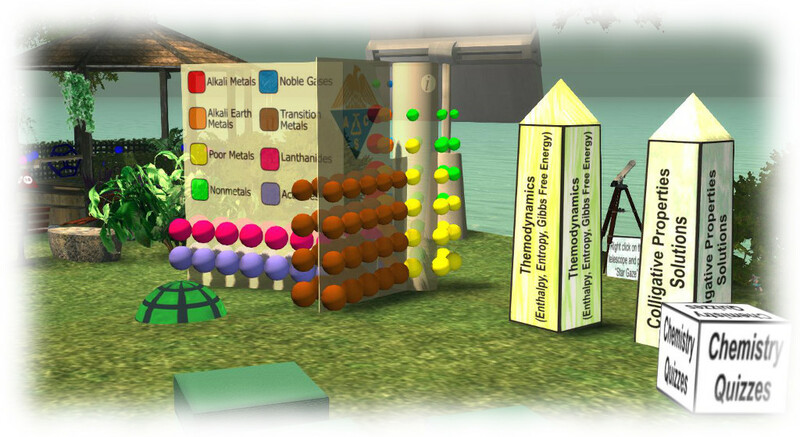 Landon: I think it’s worth pointing out though, that I think that virtual worlds and Second Life in particular can be tremendous tools in teaching people about chemistry. In fact I have a story – I will spare you the gory details – but I had a professor in college who just put it quite plainly that everything you needed to know about organic chemistry is summed-up in two kinds of principles. One is electronic effects, and that essentially means that negative or opposite charges are attracted to each other, or like charges repel each other. And stereoelectronic effect, which essentially means you can’t fit a square peg through a round hole. And if you can visualise what is happening in a chemical reaction, it will help you understand whether or not something’s going to work, or at what rate it will work. So virtual worlds can be a really powerful educational tool for chemists, to help them understand that, “Oh these things actually have physical size, and they willing fit together if they want.” And we’ve seen some of that. Tuesday, June 21st saw Zander Greene and Jo Yardley putting audience questions to Linden Lab CEO Ebbe Altberg, in his persona of Ebbe Linden. The following is a transcript of the session, focusing on the questions and answers, including audio extracts from my own recording of the event. The discussion started with a brief re-cap of Ebbe’s background prior to his arrival at the Lab in February 2014. You can read my own short profile on him, and also his own feedback on that profile and the comments which followed it. This transcript picks up with questions around Ebbe’s times at linden Lab, and I’ve attempted to split topics logically between those between Ebbe and linden Lab, Project Sansar and Second Life. As such, the questions in the following sections are not in the order presented during the discussion, and may not reflect any video of the event which is produced. Please use the links below to jump directly to topics of interest. How did working at Linden Lab come about? What were your fist impressions on joining the Lab? Which part of the job do you like the most? Can residents help attract users? What are the things you see SL residents doing that you admire? Do you think critics are right when they say the digital age has made us more isolated? Do you have a Linden Bear? Are the monetisation issues for Blocksworld a / the reason for it not reaching the Android platform? Is the approximate SL / Non-SL creator ratio known for Sansar Creator Preview applications? Will there be regions / different land types and sizes / parcels in Sansar? Will you be able to purchase land in Sansar and parcel it for collaborative projects? Are scenes land-based like SL, or is ground / gravity optional? Are Sansar avatar movement controls comparable to SL? Will we be able to customise our Sansar avatar? Will the intended age of a Sansar avatar be evident from its appearance? Will there be recommended hardware specifications for Sansar? Are we anywhere near a name for Sansar? Is there any explanation for the recent LindeX exchange rate fluctuations? When can we expect a version of the SL viewer supporting the Oculus Rift and HTC Vive? Has the Lab considered cubemap reflections? Does the Lab have and plan / strategy for Mainland / re-populating abandoned Mainland? When will we have more control for environmental factors in SL / Sansar? Monday, June 20th saw Torley and Brett Linden sit down with Jessica Lyon and Saffia Widdershins, this article hopefully presents some “selected highlights” of the chat, complete with audio extracts from my own recording of the event. To hear the conversation in its entirety, please refer to the video at the end of this article. Brett Linden is the Digital Content Manager at Linden Lab, as is most likely best known for his work overseeing the Second Life Destination Guide. However, he is involved with multiple marketing initiatives for the company, and while his primary focus is on Second Life, these also involve the Lab’s other two products: Project Sansar and Blocksworld. A website editor, web content strategist, Brett also teaches digital content creation and promotion at a major university. He is a former print and on-line journalist, who has been published in Billboard, Rolling Stones, Vibe, and Hollywood Reporter, among other publications. He’s also held managing editor positions at Amazon.com and Real Networks. Torley Linden really needs no introduction for most people engaged in Second Life. Known for his love of watermelons and their bright, happy colours, he’s been involved with the platform since 2004, initially as a resident before joining the Lab directly, where he has been Amplifiying the Awesome in Second Life through his famous TuTORial and QuickTip videos, promoting new Second Life features and providing quick bites on how to use the video and do things in-world, his photography, by word of mouth and his very genuine, very infectious enthusiasm. How did you come to work at Linden Lab? So, after several months of this, I had a dream, and I basically sent this crazy, rambling note card to Char linden at the time, And she, Robin, Philip and Daniel Linden – those are some OG names, if you remember those! – at the time they gave me the opportunity to apply. So I went through that – guess it turned out OK; so yeah, leading up to the present, I’m so very grateful and also very thankful to be here. Brett: Well, since I had a background in journalism, I first heard about Second Life during the so-called “hype era”. And you might remember a lot of corporations jumped in, and Reuters, which is a journalistic outlet, had a bureau in Second Life. And I thought that was really crazy, just so random and strange that a legitimate organisation would be in a virtual world . I’d actually played around with other virtual spaces prior, like worlds.net or worlds.com back in the day, and others, so I’d been an enthusiast for a long, long time. So when Reuters jumped in, I had to check it out. That was my very, very first taste of Second Life. When I was there, I met a lot a people and had a lot of deep and interesting conversations about world events; it was just a whole different type of experience to what I’d expected, at much deeper level. The thing that sort-of locked it down for me was at the end of that conversation, about a two or three-hour text chat, because it was even pre-voice, somebody gave me a hug, which was such a strange thing to get hugged in a virtual world; it was just a nice parting, basically. And that just clinched it for me emotionally; I just thought, “Oh my gosh, this is really something else. You can connect with people and actually form really deep relationships. And that’s what did it for me; and I’ve never looked back since. So when you first came in, Brett you had that really positive experience, Torley, you were very committed to it right from the word go. Have you become full residents, do you have homes and places you see as special to you in Second Life? Brett: As you can imagine, I do spend – and not just with the Destination Guide, which I’m sure we’ll talk about, but outside of my Linden “identity” – I have several alts, many of which are long-time residents and established. And yeah, I do have a place, and I love, for example, the music community and going to live performances. And I love the museums and the arts. I love what is happening with the LEA, the Linden Endowment for the Arts. Not only professionally as a Linden and putting that in the DG, but also just checking them out and being blown away by what is constantly being refreshed in those sims and even outside those sims, across all of the grid. Torley: The first day I was ever in Second Life, it was sort-of like arriving at the most amazing of airports, you know? Where people are all over, and [there’s] this diversity of avatars. And I’ve mostly been a nomad explorer; I have had homes, and full regions – I still do in fact. But I think the prime thing that really drives me is the force of discovery, and to share those discoveries, and I really get curious, and I love asking people “where did you get your avatar?” or “did you make these parts of your avatar?” or comment on a cool build they’re making – and finding connections. I love introducing wonderful creative minds in Second Life to each other, and we’ve had so many over time. And like Brett touched on, some of the most creative people here, they are very shy and very modest about their work. They don’t see all the awesomeness in it, and sometimes their friends have to kind-of drag them closer to the spotlight even though they don’t want that attention, necessarily. But, we still like to shine a light and say, “Wow!” And once they have that admiration and recognition, they can see their creative work makes a very real and very vibrant [contribution]. It affects other residents when they come and explore, or they take pictures and they post it on their blog and more word gets out. So, I’m always looking for those sorts of under-mined, under-rated gems that are out-of-the-way of Second Life. I randomly teleport – I got this recent cool backpack to that, this neat device …. but its sort-of this interplay, this dynamic between the chaos and the order, and that’s the stuff I really love; the serendipity – the things that you don’t expect to find, but when you look back, and they sort-of relate to s sort-of grouping. For example, a collection of futuristic, cyberpunk-looking – there’s that word again, but I’m not locked to any single genre. And I’m always driven to listen to people’s stories. Just like in an airport, someone catches your attention and you start a conversation as a stranger and they may end up telling you the most fascinating, fascinating tales. so for me, yeah, it’s that relentless urge to discover and explore.